Recent work fields include multi-lane traffic flow (on freeways), where the lane choice and lane-changes of drivers make that the road capacity is not optimally used. I also pioneer in city wide description of traffic flow, using the so-called Macroscopic Fundamental Diagram (MFD), also known as Network Fundamental Diagram. This means traffic is not longer described at a vehicle level or a road level, but traffic is described at a higher level, a zonal level consisting of many roads. A traffic description on this level can be used in urban traffic management, where it is computationally too expensive to test various traffic control measures using vehicle-level or road-level simulations. I analyse traffic dynamics at that level and aim for a multi-zone traffic description, by which control measures can be evaluated. Besides, in recent work explore possibilities to combine the vast amount of data (in combination with machine learning techniques), with traffic engineering knowledge. Over the past years, I developed some software, mainly Matlab code, which makes research a bit easier. I share some of them at the software site. Victor Knoop holds an associate professorship at the Delft University of Technology, at the group Transport and Planning (tenure-track: September 2012-April 2016). His general activities relate to traffic flow modelling and, to a lesser extent, traffic control. He was awarded a prestigious personal grant (Veni) by the Netherlands National Science Foundation (NWO). The grant (250.000 euro) is awarded for the proposal "Integrated driving behavior theory and models: there is plenty of room in the other lane", which aims at studying drivers" behavior at motorways, combining lane changes and accelaration changes, and which effect this has on the traffic flow (Press release). Besides, he has aquired over 1 million euro in other research funds. Victor Knoop is interested in applications of the theories; his mambership of Traffic-Quest, the national knowledge center of traffic management, show so. Two main projects. One founded by the foundation Next Generation Infrastructures aiming at a large scale traffic description. Two: the SI4MS project (Sensor Intelligence for Mobility Systems), aiming at setting up an common ICT platform for monitoring traffic and to come to cooperative driving, dynamic traffic information and distributed traffic management. NWO sponsored Rubicon project How Traffic Jams Start. Analyse the lane changing and merging behaviour of drivers. 2017 Best paper award De Baat, M and Knoop, V.L. (2017) Insights into lane-changing: an experiment and a survey (in Dutch: Meer inzicht in rijstrookwisselgedrag: een rij-experiment en online enqu�te). Presented at the Colloquium Vervoersplanologisch Speurwerk, 23 en 24 november 2017, Gent. Awarded the best paper award of the conference. 2012 Greenshields prize Schakel, W.J., Knoop, V.L., and Van Arem, B. (2012), LMRS: Integrated Lane Change Model with Relaxation and Synchronization, Transportation Research Records: Journal of the Transportation Research Board, No. 2316, pp. 47-57. 2007, Succeeding in Europe: A Summer School for Researchers Working in Science and Technology, organised and funded by the IDEA league of universities, hosted by Imperial College London. 2005, Modeling and Simulation of Transportation Networks, Massachusetts Institute of Technology. July 2014: Organisation of the Summer meeting of the Traffic Flow Committee of the Transportation Research Board, Annecy France. April 2013 - now: member of the Traffic Flow Theory and Characteristics Committee of the Transportation Research Board. July 2014: Organisation of the Summer meeting of the Traffic Flow Committee of the Transportation Research Board, Portland, USA. 2013: Co-chair the 20th International Symposium on Transportation and Traffic Theory which will be organised in Hotel Huis ter Duin in Noordwijk (July 17-19 2013). Downloads of materials presented at the conference can be found here. March 2007 - December 2009 Chairman of the PhD council of the Netherlands Research School for Transportation, Infrastructure and Logistics, TRAIL. Organiser of the regular group meetings of the PhDs of the Transport and Planning department of the Delft University of Technology (2007 - December 2009). Student memeber of the board of the executive board of the faculty of science of the Leiden University, responsible for ICT and student affairs. Each faculty of the Leiden University is directed by a four-person executive board, chaired by the dean, including one student. Chairman of the student's association De Leidsche Flesch, organising extra-curricular activities for students in astronomy, physics, mathematics and computer science . Procedia Social And Behavioral Sciences, Volume 80, Journal of Transporation and Traffic Theory. Papers selected for the 20th International Symposium on Transportation and Traffic Theory. S.P. Hoogendoorn, V.L. Knoop and Hans van Lint editors. 5th symposium arranged by European Association for Research in Transportation (hEART), September 2016. "Generalised Network Fundamental Diagram -- Modelling and control"
"The Generalised Network Fundamental Diagram - An easy description of the traffic state"
"Traffic control using the Macroscopic Fundamental Diagram"
"Dynamic speed limits" and "Dynamic lane management"
For joined papers with these PhD students, see papers below. 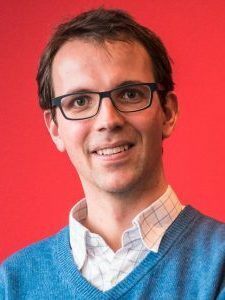 Victor Knoop has been awarded the PhD supervisor award in November 2017, for the best PhD supervisor of the national research school TRIAL. 2010-2018 Lecturer in Traffic Flow Modelling and Control Master's course at TU Delft. 2016 Responsible for TRAIL course Mysteries of Motorway Traffic Operations: breakdowns and the capacity drop. Slides Taale, Ahn, Laval, Tampere. 2013 Course leader graduate school course "The Daganzo Method"
Victor Knoop has been elected "Teacher of the Year" for Transport and Planning in 2017, and received the second prize in 2018. Committee member and supervision of (Bachelor and) Master theses at TU Delft and University of Lyon. The documents provided here are preprints and might slightly differ from the final versions of the publications. The PhD thesis (Delft University of Technology), Road Incidents and Network Dynamics - Effects on driving behaviour and traffic congestion, has been published with two pubilshers, Next Generation Infrastructures Foundation (PhD series on infrastructure 33, ISBN 978-90-79787-14-2) and the TRAIL Research School (TRAIL Thesis Series T2009/13, ISBN 978-90-5584-124-0). A digital version can be found in the TU Delft repository (repository.tudelft.nl). Zhao, J., Gao, X, and Knoop, V.L. (2019). An innovative design for left turn bicycles at continuous flow intersections. Accepted for publication in Transportmetrica B.
Goñi-Ros, B., Schakel, W.J., Papacharalampous, A.E., Wang, M., Knoop, V.L., Sakata, I., Van Arem, B. and Hoogendoorn, S.P. (2019) Using Advanced Adaptive Cruise Control Systems to Reduce Congestion at Sags: An Evaluation Based on Microscopic Traffic Simulation. Accepted for publication in Transportation Research part C.
Van Erp, P., Knoop, V.L. and Hoogendoorn, S.P. (2018). Real-time schattingen van voertuigaccumulatie met FCD (Real time estimation of vehicle accumuloation with FCD, in Dutch; non peer reviewed). NM Magazine Vol 13, No 2. Yuan, K., Laval, J., Knoop, V.L. and Hoogendoorn, S.P. (2018) A Geometric Brownian Motion Car-Following Model: Towards a Better Understanding of Capacity Drop (22MB: the paper has a couple of figures which are heavy; a lighter version can be downloaded here . In Transportmetrica B: Transport Dynamics. Van Erp, P., Knoop, V.L. and Hoogendoorn, S.P. (2018), Macroscopic traffic state estimation using relative flows from stationary and moving observers. Transporation Research part B. Vol 114, pp. 281-299. Knoop, V.L., Keyvan-Ekbatani, M., De Baat, M.J., Taale, H, and Hoogendoorn, S.P. (2018) Lane-Change Behavior on Freeways: an On-Line Survey Using Video Clips. In Journal of Advanced Transportation, vol. 2018, article ID: 9236028, https://doi.org/10.1155/2018/9236028. Yao, S., Knoop, V.L., Van Arem, B. (2017, in print) Optimizing traffic flow efficiency by controlling lane changes: collective, group and user optima. Accepted for transportation research records, No. 2622. DOI: 10.3141/2622-09. Knoop, V.L., Tamminga, G.F., and Snelder, M. (2015) Network Transmission Model - a new regional model for urban traffic. (in Dutch, Netwerk Transmissie Model Een nieuw gebiedsmodel voor stedelijk verkeer, non peer reviewed), in NM magazine, Volume 10, issue 3, pp 20-21. Hoogendoorn, S.P., Landman, R., Knoop, V.L., Pel, A.J., Huibregtse, O. and Hoogendoorn, R. (2009) Verkeersmanagement bij exceptionele omstandigheden (Traffic Management at Exceptional Conditions). NM Magazine, Vol. 2, pp. 24-28. Hoogendoorn, S.P., Knoop, V.L. and Van Zuylen, H.J. (2008) Robust Control of Traffic Networks under Uncertain Conditions. Journal of Advanced Transportation, Vol. 42, no. 3, pp. 357-377. Hoogendoorn, S.P., Van Lint, J.W.C. and Knoop, V.L. (2008) Macroscopic Modeling Framework Unifying Kinematic Wave Modeling and Three-Phase Traffic Theory. Transportation Research Record: Journal of the Transportation Research Board, No. 2088, pp. 102-108. Knoop, V.L., Hoogendoorn, S.P. and Van Zuylen, H.J. (2008) Capacity Reduction at Incidents: Empirical Data Collected from a Helicopter. Transportation Research Record: Journal of the Transportation Research Board, No. 2071, pp. 19-25. Knoop, V.L., Hoogendoorn, S.P. and Van Zuylen, H.J. (2008) The Influence of Spillback Modelling when Assessing Consequences of Blockings in a Road Network. European Journal of Transportation and Infrastructure Research, Vol. 8, no. 4, pp. 287-300. Van Erp, P.B.C., Knoop, V.L. and Hoogendoorn, S.P. (2019). On the value of relative flow data. Accepted for Proceedings of the International Symposium of Traffic and Transportation Theory. Knoop, V.L., Hoogendoorn, S.P. (2014), Two-Variable Macroscopic Fundamental Diagrams for Traffic Networks,in: Proceedings of the 9th Conference on Traffic and Granular Flow 2011, Kozlov, Buslaev, Bugaev, Yashina, Schadschneider, Schreckeberg (Eds. ), pp. 351-360, Springer. Knoop, V.L., Van Lint, J.W.C. and Hoogendoorn, S.P. (2014), Route Advice Based on Subnetwork Accumulations - Control based on the macroscopic fundamental diagram in: Proceedings of the 9th Conference on Traffic and Granular Flow 2011, Kozlov, Buslaev, Bugaev, Yashina, Schadschneider, Schreckeberg (Eds. ), pp. 379-388, Springer. Knoop, V.L., Van Zuylen, H.J. and Hoogendoorn, S.P. (2009) Microscopic Traffic Behaviour near Accidents. IN Lam, W.H.K., Wong, S.C. and Lo, H.K. (Eds.) Proceedings of the 18th International Symposium of Transportation and Traffic Theory. 16-18 June, Hong Kong, China. Springer, New York. Hoogendoorn, S. P., Van Lint, J. W. C. and Knoop, V. L. (2009) Dynamic first-order modeling of phase-transition probabilities. In Appert-Rolland, C., Chevoir, F., Gondret, P., Lassarre, S., Lebacque, J.-P. and Schreckenberg, M. (Eds.) Proceedings of Traffic and Granular Flow 07. pp. 85-92, Springer, New York. Knoop, V.L., Hoogendoorn, S.P. and Van Zuylen, H.J. (2007) Approach to Critical Link Analysis of Robustness for Dynamical Road Networks. In Schadschneider, A., Pöschel, T., Kühne, R., Schreckenberg, M. and Wolf, D. E. (Eds.) Proceedings of Traffic and Granular Flow 05. pp. 393-402, Springer Verlag, Berlin. Knoop, V.L., Hoogendoorn, S.P. and Van Zuylen, H.J. (2006) Network robustness assessment: the need for spillback modelling, in Van Zuylen, H.J. (Ed.) Selected Papers of the 9th TRAIL Congress, TRAIL in motion. Rotterdam, TRAIL Research School. Lu S., Knoop, V.L., and Keyvan-Ekbatani, M. (2018) Using Taxi GPS Data for Macroscopic Traffic Monitoring in Large Scale Urban Networks: Calibration and MFD Derivation. In proceedings of the 6th International Symposium of Transport Simulation and the 5th International Workshop on Traffic Data Collection and its Standardization (ISTS & IWTDCS 2018), Matsuyama, 4-6 August, 2018. Van Erp, P.B.C., Knoop, V.L. and Hoogendoorn, S.P. (2018) Estimating the vehicle accumulation: Data-fusion of loop-detector flow and floating car speed data. Presented at the 97th Annual Meeting of the Transportation Research Board, 7-11 January 2018. Extended abstract here. Anderson, P. and Knoop, V,L. (2018) Pedestrians and Cars in Urban Networks: Effect of Various Interaction Strategies. Presented at the 97th Annual Meeting of the Transportation Research Board, 7-11 January 2018. Extended abstract here. De Baat, M and Knoop, V.L. (2017) Insights into lane-changing: an experiment and a survey (in Dutch: Meer inzicht in rijstrookwisselgedrag: een rij-experiment en online enqu�te). Presented at the Colloquium Vervoersplanologisch Speurwerk, 23 en 24 november 2017, Gent. Awarded the best paper award of the conference. Tu, H., H. Li, J.W.C. van Lint, V.L. Knoop, Sun L. (2013), Macroscopic Travel Time Reliability Diagrams for Freeway Networks, in: Proceedings of the 92nd Annual Meeting of the Transportation Research Board, January 13-17 2013, Washington D.C.
Knoop, V.L., Van Lint, J.W.C., and Hoogendoorn, S.P., (2012) The Macroscopic Fundamental Diagram Used for Control using Subnetwork Accumulation, in: Proceedings of the 91th Annual Meeting of the Transportation Research Board, 22-26 January 2012, Washington D.C.
Knoop, V.L., Hoogendoorn, S.P. and Van Zuylen, H.J. (2009) Route Choice Under Exceptional Traffic Conditions, in: International Conference on Evacuation Management, 23-25 September 2009, The Hague, the Netherlands. Knoop, V.L., Hoogendoorn, S.P. and Van Zuylen, H.J. (2009) Traffic behavior near incidents, in: Proceedings of Sino-Dutch seminar on transport development, 30 June 2009, Beijing, China. Knoop, V.L., Van Zuylen, H.J. and Hoogendoorn, S.P. (2009) Microscopic traffic behaviour near Incidents, in: Proceedings of Second Sino-Dutch Joint Workshop in Transportation and Traffic Study, 26 June 2009, Shanghai, China. Adams, K., V.L.Knoop, Hoogendoorn, S.P., Stoop, J.A.A.M. and Van Loon, A. (2009) Safety Impacts of Incident Management at Incident Sites, in: Proceedings of the 88th Annual Meeting of the Transportation Research Board, 11-15 January 2009, Washington D.C.
Knoop, V.L., Hoogendoorn, S.P. and Van Zuylen, H.J. (2009) Processing Traffic Data collected by Remote Sensing, in: Proceedings of the 88th Annual Meeting of the Transportation Research Board, 11-15 January 2009, Washington D.C.
Knoop, V.L., Bell, M. G. H. and Van Zuylen, H.J. (2008) Route-Advice Based On Individual Risk-Attitude in: Proceedings of IEEE Conference on Infrastructure Systems Building Networks for a Better Future, 10-12 November 2008, Rotterdam, the Netherlands. Hoogendoorn, S.P., Van Lint, J.W.C. and Knoop, V.L. (2008) Modeling Traffic Phase Transitions, in: Proceedings of CHAOS2008 Chaotic Modeling and Simulation International Conference, 3-6 June 2008, Chania Crete Greece. Hoogendoorn, S.P., Knoop, V.L. and Van Zuylen, H.J. (2007) Model-based Stochastic Control of Traffic Networks, in: Proceedings of the Third International Symposium on Transportation Network Reliability, 19-20 July 2007, Den Haag, the Netherlands. Knoop, V.L., Snelder, M. and Van Zuylen, H.J. (2007) Comparison of Link-Level Robustness Indicators, in: Proceedings of the Third International Symposium on Transportation Network Reliability (INSTR), 19-20 July 2007, Den Haag, the Netherlands. Knoop, V.L. and Hoogendoorn, S.P. (2007) Need for realistic spillback modeling in assessing network reliability, in: Proceedings of Tristan VI, 10-15 June 2007, Phuket, Thailand. Knoop, V.L., Hoogendoorn, S.P. and Van Zuylen, H.J. (2006) Network robustness assessment: the need for spillback modelling, in: Proceedings of 9th TRAIL Congress, TRAIL in motion, 21 November 2006, Rotterdam, the Netherlands. Knoop, V.L., Hoogendoorn, S.P. and Van Zuylen, H.J. (2006) Importance of spillback modeling in assessing ITS, in: Proceedings of IEEE 9th International Conference on Intelligent Transport Systems, 17-20 September 2006, Toronto, Canada. Zuurbier, F.S., Van Lint, J.W.C. and Knoop, V.L. (2006) Traffic network state estimation using extended Kalman filtering and DSMART, in: Proceedings of Eleventh IFAC Symposium on Control in Transportation Systems, 29-31 August 2006, Delft, the Netherlands. Calvert, S., Minderhoud, M., Taale, H., Wilmink, I., & Knoop, V. (2015). Traffic assignment and simulation models. Delft: TrafficQuest. Goñi Ros, B, Knoop, V.L., Wang, M, Papacharalampous, A., Van Arem, B., and Hoogendoorn, S.P. Reducing congestion at sags by means of Cooperative Advanced Driver Assistance Systems. Final report. Knoop, V.L., F. Viti, H. Tu, E. Jagtman, Van Zuylen, H.J. and Smit, H. (2007) Accessibility of the harbour. Delft, Delft University of Technology. Van Zuylen H.J., Viti F., Knoop V., Tu H, 2007. Analysis of accidents for the A15 Dutch Motorway. Project report commissioned by AVV and the Port of Rotterdam. Hoogendoorn, S.P., Knoop V., Viti F., Li M., Ngoduy D., 2007. Bencharking of Dynamic Traffic Models (in Dutch), commissioned by AVV. Omroep Brabant. What to do about rubbernecking.